New Zealand's Gin Wigmore will launch her U.S. Tour one week after her highly anticIpated new album Blood To Bone drops on August 28th via Island Records. With this new album, Wigmnore recorded it here in Los Angeles taking on more of a producer role while taking the wheel of her career. It already debuted at #1 in her homeland when it was released last week. While her last album Gravel & Wine, released in 2013, borrows from classic Americana with touches of Outlaw Country Rock, Wigmore decided to go much more darker and grittier for her third studio album. 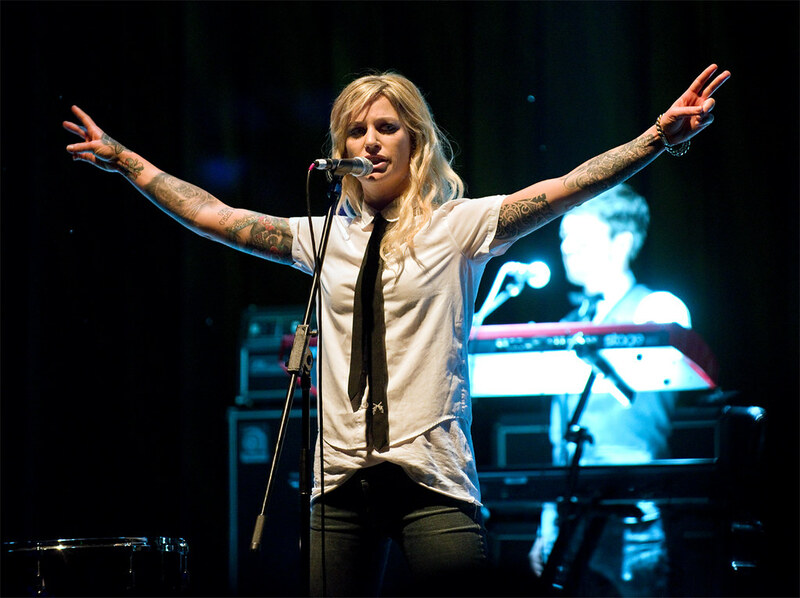 If you haven't heard of Gin Wigmore, you've probably already heard her without even knowing. Her hit songs "Black Sheep" and "Kill of the NIght" were featured on shows like "Grey's Anatomy," "Revenge," and "Teen Wolf" while "Man Like That" was used in the Heineken commercial that was used during James Bond's "Skyfall" tie-in. Check out the first video revealed for "Written in the Water” in which Wigmore and Letlive frontman Jason Butler take on the role of a backwoods Bonnie and Clyde on the run from a vengeful local sheriff – and stay tuned for the second installment of the video, which will be revealed soon.